Our product range includes a wide range of hydraulic heaters. With assistance from vendor’s highly qualified and experienced professionals, we are engaged in offering a huge gamut of Hydraulic Heaters. 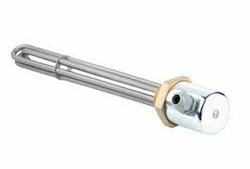 The whole range of these heaters is precisely manufactured by utilizing finest quality materials and high-tech machines in strict adherence to industry laid standards. Furthermore, our provided heater can be availed in various sizes and technical specifications to cater the specified demand of our patrons. Looking for Hydraulic Heaters ?